A spacious interior designed to fit perfectly with your lifestyle. The dimensions of the new Jazz are truly deceptive. 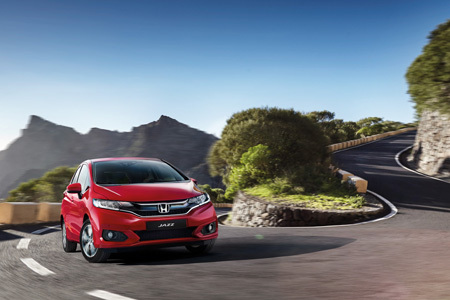 The new look is bold and assertive on the outside and with vast amounts of room on the inside. 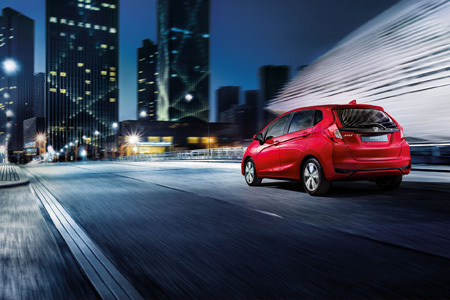 With its class-leading spacious interior, including the extremely adaptable Magic Seats, it’s a compact car that bundles practicality with a whole lot of style. If you frequently need to transport luggage or specialised equipment, the Cargo Pack will help keep it organised and secure. Includes boot tray with dividers and under shelf storage box. 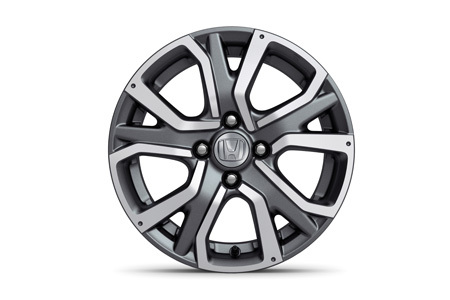 The Chrome Pack highlights your car with dashes of chrome for an extra touch of class. The pack includes a front lower decoration, a tailgate decoration and the window decorations. 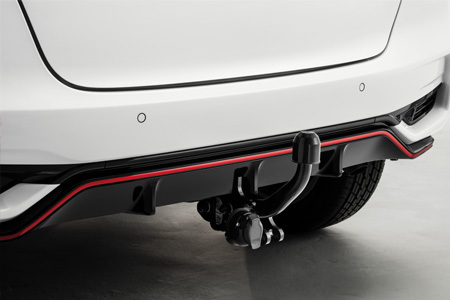 Stylishly protect your car from mud, sand and scratches. This pack includes side body trims, doorstep garnishes, front mudguards and rear mudguards. The Illumination Pack is a combination of several lights, which gives an ambient atmosphere in the interior of the car. Includes a front ambient footlight and illuminated doorstep garnishes. 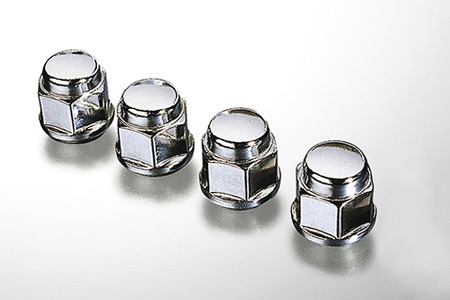 Keep your alloy wheels secured with these silver, cap type, locking wheel nuts. One set is four pieces. For detailed information, please download our brochure. 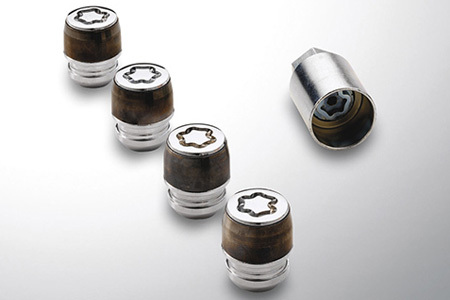 For easy and safe fixation of your alloy wheels, cap type with a chrome finish. One set is 16 pieces. Distinguish the look of your car with genuine alloy wheels with black pearl windows and diamond cut A-surface shiny clear coat. WVTA Approved. 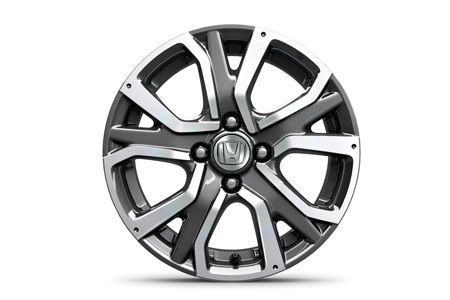 Distinguish the look of your car with genuine alloy wheels with rombo silver windows and diamond cut A-surface matte clear coat. WVTA Approved. 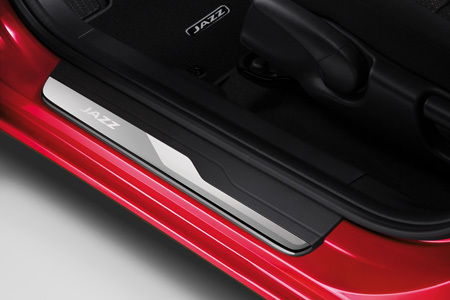 Illuminated door sill trims in white to give your Jazz that final touch. We all want our car sound systems to faithfully reproduce the music of our chosen bands and artists. 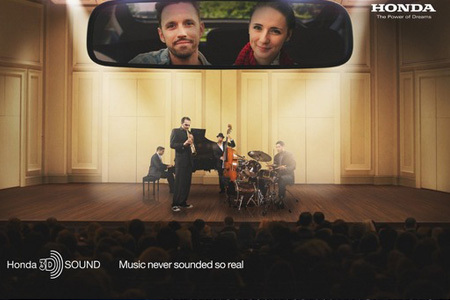 By adding a compact DSP (Digital Signal Processing) unit to the existing sound system in your Honda, you can enhance your listening experience. 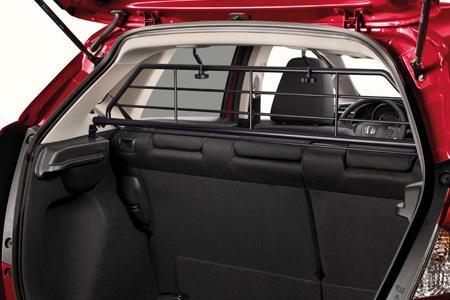 Keep luggage secured in your boot with a specially-designed horizontal cargo net. To be fixed to the cargo hooks in the boot. 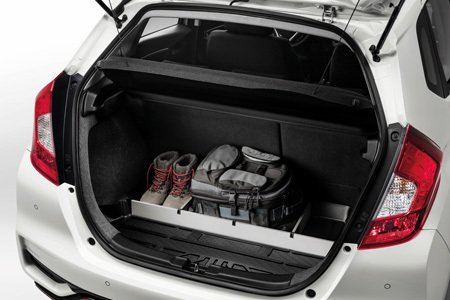 Perfectly formed to your car's boot shape, this waterproof boot tray with raised edges will protect the car's finish from dirt and scratches. 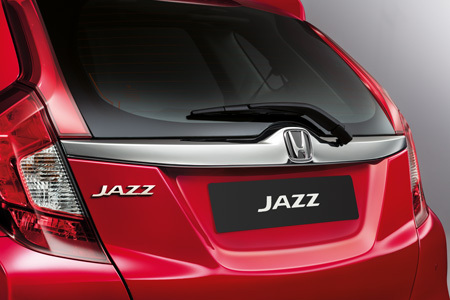 It is anti-slip, features the Jazz logo and includes dividers. 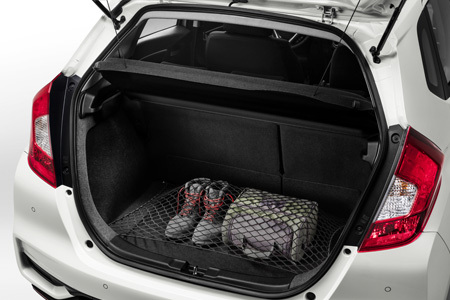 Keep the interior of your boot clean with this boot mat specially designed to perfectly fit the area of your car that needs the most protection. 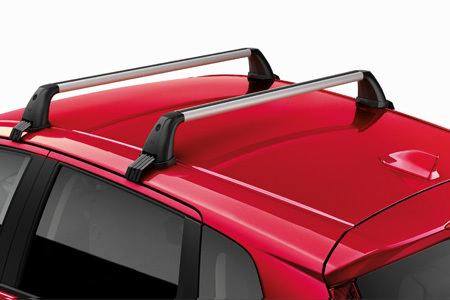 Expand your car's carrying capacity with a strong, secure roof rack. 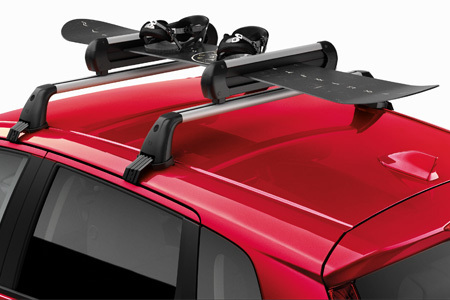 The roof rack is the perfect item to fit a roof box, a ski box or any other items convenient for you. 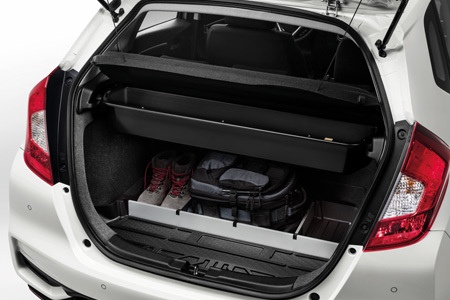 It includes four locks and the maximum load capacity is 30kg. Easy-to-use ski holder for one or two pairs of skis (depending on the size of the skis) or one snowboard. Skis or snowboard are securely fastened between two rubber profiles that are kind to the equipment. You can easily fitted without tools.